Women have been wearing Rolex watches for decades, even long before the brand added women’s variations to their catalogue. While there is a large selection of ladies’ Rolex watches available on the market, recent fashion trends have seen an increase in popularity among women for larger men’s references. A trend that can be attributed, in large part, to the Rolex brand’s presence on the wrist of some of Hollywood’s most beloved actresses. Below, we’ll explore the times that women have rocked a Rolex watch better than men. American’s Sweetheart has been known to step out with many different Rolex watches on her wrist, including a gold Day-Date. Measuring 36mm and worn on a President bracelet, the Day-Date isn’t a surprising choice for the actress and seems to suit her sophisticated style well. This option also comes as no surprise considering the growing trend for gold jewelry. What we are surprised to see on her wrist, however, is a custom matte black Milgauss, which is a considerable departure from the classy gold Day-Date that she often wears. As a fixture of many best-dressed lists and a Rolex enthusiast herself, it only makes sense that Jennifer would have a Rolex to suit any outfit or occasion. With the trend among women for powerful statement watches on the rise, it’s no surprise that A-List celebrities such as Charlize Theron have been photographed with men’s references on their wrists. What does come as a surprise, however, is her choice to wear a Rolex DeepSea which, measuring 44mm in diameter, is one of the largest timepieces in the Rolex catalogue. The Monster actress pulls off this daring style well, pairing her DeepSea with everything from jeans to a sleek pantsuit. Perhaps one of the brand’s most recognizable sports watches is the Submariner, which is known for its incredible waterproofness and sleek style that seems to transcend time and fashion, even over 60 years after its release. “Produced in 1953, the Rolex Submariner was first introduced in 1954 at Basel Watch Fair. The model comes in Oystersteel, white & yellow gold, and two-tone metals with date and no date variants. Made famous by James Bond films, this iconic sports watch has a 40mm case size and functions as a dive watch. Suggested retail price starts at $7,500 as of 2018.” According to Bob’s Watches. In 2010 actress Cameron Diaz starred alongside Tom Cruise in the flick Knight and Day. Cameron wore a stainless steel Submariner, giving her character’s look a bold and modern style. Measuring 40mm and worn on a matching stainless steel bracelet, the Submariner looks good on almost any wrist and suits her style well throughout the film, even while wearing a skimpy red bikini. 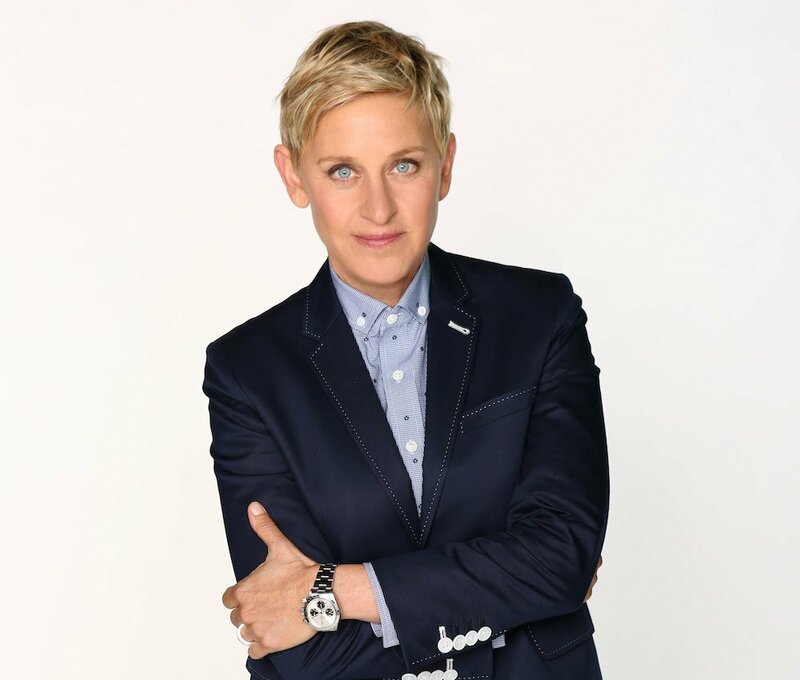 Ellen DeGeneres is the Queen of daytime television, which often puts her impressive Rolex collection front and center for sharp-eyed collectors in-the-know. While she’s been known to wear several different models from the Yacht-Master and Submariner to the Day-Date, her ultimate go-to watch is the Cosmograph Daytona. Her collection boasts new and vintage references alike, including a variation of the famed Paul Newman. Whether she’s wearing a Daytona with a sleek blazer in front of the camera or with a casual button-down shirt while relaxing in public, I think that we can all agree that the Daytona complements her style well. As a chronograph, the Daytona offers bold style via side pushers, a Tachymeter bezel, a dial topped with sub-counters, and a substantial 40mm case measurement. Available in stainless steel, two-tone, yellow gold, and Everose pink gold options, it isn’t hard for women to find a variation that suits their wrist just like Ellen. Another of Hollywood’s sweethearts to effortlessly pull off a men’s Rolex is Oscar winner Sandra Bullock, who has been spotted on numerous occasions donning a stainless steel and white dial Daytona on her wrist. The actress wears hers loosely, which seems to speak to her casual, feminine style and is a popular way for many women to wear larger men’s sports watches. Contemporary women’s fashion celebrates bold, forward-thinking style, which is why Rolex’s line of men’s watches is right at home on the modern woman’s wrist. With many options available in a range of budgets, you don’t have to be an A-list celebrity to purchase one either.